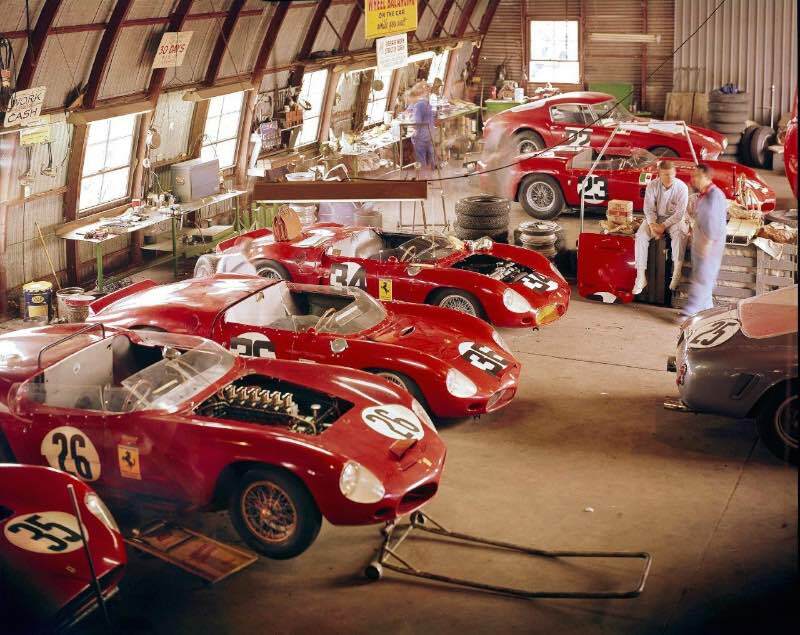 The Revs Institute for Automotive Research acquired famed automotive photographer Tom Burnside’s collection of images chronicling decades of automotive racing, personalities and car collections. The collection, which numbers some 40,000 negatives and prints, will become part of the ever-growing archive at the Institute’s research center in Naples, Florida. Tom Burnside began his photographic career on the East Coast as a stringer for Time-Life. His career with the famed publishing house included work for Sports Illustrated photographing tennis, basketball and horse shows, but his great love was motorsports. Beginning in 1954, Burnside chronicled the emerging sports car scene. He worked at such North American circuits as Bridgehampton, Mosport, Elkhart Lake and Sebring, but also the Nassau Speed Weeks and Grand Prix events in Cuba and Venezuela. While much of the collection includes black and white images, Burnside also delved into color with Kodak’s Kodachrome. No easy task as the film had an ASA film speed of 25, so slow and insensitive to light compared to today’s digital cameras. Burnside’s collection also includes archival gelatin silver display prints, a select set also going to The Revs Institute. At that point it will be part of the Institute’s extensive library and in the searchable database of the Revs Institute Digital Library at Stanford University in Palo Alto, California. “Knowing my photographs and the history embodied in them will be preserved in the living environment of The Revs Institute is a dream come true,” Tom Burnside and his wife Elinor, remarked. The Revs Institute of Automotive Research, a not-for-profit 501(c)(3) organization is recognized for its extensive library, outstanding periodical collections that date from the 1890’s and its photograph and manuscript collections on all things automotive. The Naples, Florida automotive research institute has become a major resource for historians, researchers, writers and academics. For information, visit www.revsinstitute.org or call (239) 687-REVS. Y’all know that Mosport (nee. CTMP) is in Canuckistan huh? That giant hunk o’terra-firma presiding at the top of America but not in the United States part.